The day you decide to actively stop smoking is a day of celebration. But your first day without a cigarette can be difficult. E-cigarettes have helped millions of people quit smoking. There are no e-cigarettes currently available on prescription. 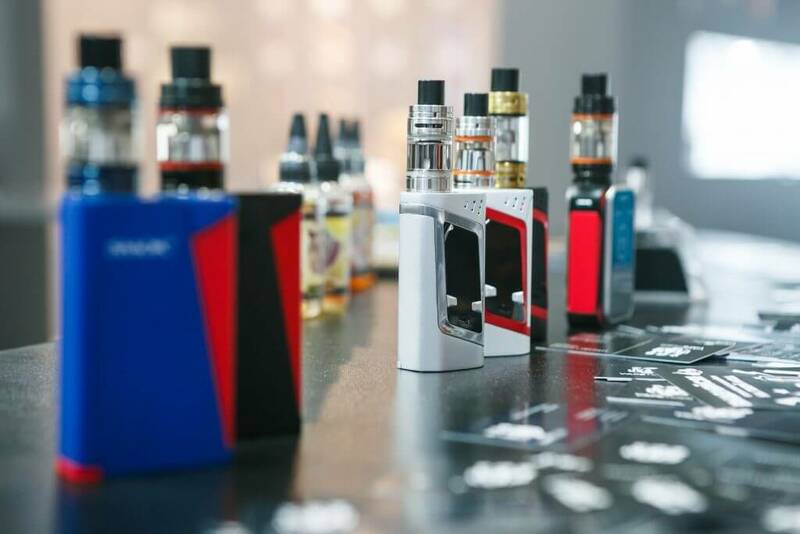 But once medicinally licensed e-cigarette products become available, GPs and stop smoking services will be able to prescribe them. So what are some of the over the counter and prescribed vaping alternatives to help you kick the habit. The main reason that people smoke is because they are addicted to nicotine. Nicotine replacement therapy is medication that provides you with low level of nicotine, without the tar, carbon monoxide and other poisonous chemical present in tobacco smoke. In turn this helps reduce unpleasant withdrawal effects, such as bad moods and cravings, which may occur when you stop smoking. NRT can be bought from pharmacies and some shops. It’s also available on prescription from a doctor or NHS stop smoking service. Chewing gum– Gum works by replacing some of the nicotine you would normally inhale from cigarettes. It consists of nicotine mixed with chewing gum. It has a similar affect to the patches, but this time the nicotine is absorbed through the lining of your mouth. The main advantage of lozenges and oral strips is that you can use them discreetly to help you stop smoking at work or other occasions where you cannot chew gum. Nasal sprays Nasal sprays are rapidly absorbed into the body through the nostrils, the spray is a great choice for heavier smokers who want hard-hitting and speedy relief from unpleasant withdrawal symptoms after stopping smoking. Non-Nicotine Medications. Bupropion (Zyban) and Varenicline (Chantix) are intended to help people quit smoking by acting on chemicals in the brain to reduce any pleasure you may get from smoking tobacco or simply by reducing cravings. These can only be prescribed by your Doctor. Hypnosis. If these NRT methods haven’t helped you kick the habit, don’t give up. Ask your doctor if hypnosis is an option for you. Clinical hypnosis may be used to treat certain psychological problems. Vaping. Read our guide on 5 Easy Steps to Successful Vaping and find out if vaping could help you quit.